We’re saying our vows this leap year if anyone is interested in hanging out with us! 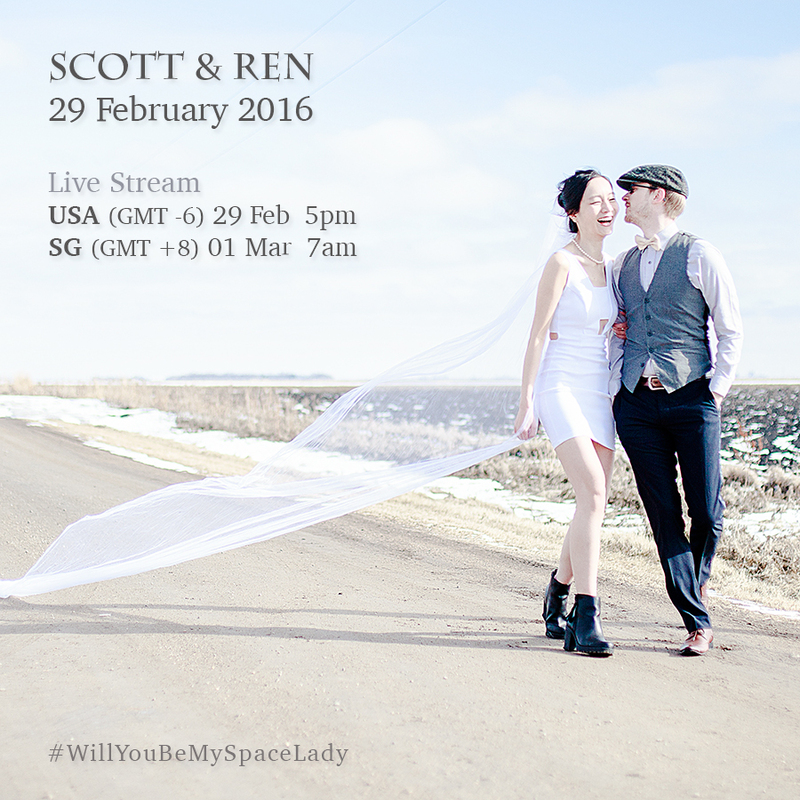 Also, our hashtag is #WillYouBeMySpaceLady because this seems to be a thing. Use it creativelyyyy. Remember to say hi soon! Also, the broadcast will be recorded if you missed it out. Photo assisted by Jeff (the best man). Congratulations on your big day! On a leap year nonetheless, that’s awesome!